Vitamin B6 Toxicity is a real phenomenon that can occur not only when you take too much Vitamin B6, also known as Pyridoxine, but in certain people it can occur without having taken any Vitamin B6 at all. For those having become toxic from taking high amounts of Vitamin B6, the solution is obvious- stop taking Vitamin B6. However, for those not taking Vitamin B6, the solution is less obvious, made even more confusing by contradictory speculation all over the internet. Find out the real reason why people get Vitamin B6 toxicity when they are not taking Vitamin B6, or only taking small amounts of it. Even though Vitamin B6 is a water-soluble B Vitamin, unlike most reports that water soluble vitamins simply wash out of the body in the urine if taken in excess, this is not necessarily true of Vitamin B6, and the excess can lead to symptoms such as painful Peripheral Neuropathy. Vitamin B6, while obviously being an important Vitamin, is critical in various functions throughout the body. The relationship of Vitamin B6 and Inflammation, as well as its critical role in magnesium uptake are just two of the reasons why it’s important to be sufficient in this vitamin. But how much is too much? The answer is: it entirely depends upon your body. There are some people with such a high need for Vitamin B6 that they need to take thousands of milligrams per day, while there are some people who report high Vitamin B6 levels in blood just from the amount that they get in their diet or when taking a multivitamin. They often think that they are experiencing Vitamin B6 Side Effects instead of the actual toxicity they are experiencing. Fortunately, there is a blood test, called pyridoxal 5′-phosphate test, PLP, or just a Vitamin B6 test. You can simply ask your doctor for it, but most doctors are not used to this blood test and may not see a need for you to get tested for this critical nutrient. Unfortunately, the blood test is tricky to understand and can be a bit misleading. A low level is exactly what it means: you’re not getting enough B6 and you need to get more through diet or supplements. A normal level is usually just that- normal. And there is no reason to take any action. If your level is high, however, unless you are taking high doses of B6, then it usually means that you are actually DEFICIENT in Vitamin B6, as you’ll see below. One reason that someone might have a high Vitamin B6 level is because they are taking too high a dose of Vitamin B6 supplements. Virtually all multivitamins contain Vitamin B6, but the amounts in multivitamins are too small to cause toxicity unless there are other problems, as discussed below. For most people, it’s safe to take as much as 200-500 mg per day, and toxicity almost never occurs at levels lower than 1000 mg per day. If you’re taking high levels of Vitamin B6 and you have a high level, then the solution is obvious: stop taking Vitamin B6 supplements. However, if you have high levesl and you are not taking supplements, the most likely problem is the MTHFR Gene that can easily be detected on a 23andMe Genetic Test done using a simple mouth swab. The MTHFR gene is extremely common and can lead to a problem processing the B Vitamins, making people particularly susceptible to deficiency of B12, folic acid, and Vitamin B6. Ironically, in these cases, Vitamin B6 Levels and Vitamin B12 Levels will be HIGH, despite actually being a DEFICIENCY of these vitamins. This is because the vitamins build up in the bloodstream, where they are measured, but the vitamins can't get into the cells where they are needed. 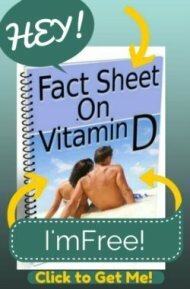 Because of this, the solution to Vitamin B6 Toxicity in those who are taking no or little Vitamin B6 is to get tested for the MTHFR gene, and if positive, they will need to actually supplement with high doses of B Vitamins, despite having high levels, but in the proper forms that can be processed by the body. In the case of Vitamin B6 toxicity, the ‘active’ form of Vitamin B6 known as P5P, also known as pyridoxal-5-phosphate. While in the case of Vitamin B12, the active form is known as Methylcobalamin B12. These forms are able to be processed by the body so that they get into the cells where they can be utilized for body processes. Ironically, high B6 levels in blood will decrease and return to NORMAL when sufficient amounts of P5P are taken to remedy the deficiency. The solution to Vitamin B6 Toxicity if you have the MTHFR gene is to stop getting the synthetic forms of B Vitamins, and get the proper active forms the body requires, like that present in a P5P supplement, Methylcobalamin B12, and a MTHFR Safe Multivitamin and Mineral Supplement.